The War Chest is essentially purchasable cosmetic items and a comic strip that you then unlock in stages whilst playing the game. It is relatively simple, earn 300,000exp and unlock a level, unlock a level, you get one of the skins that you paid for. The system then continues until you have all of your skins. Isn’t this just like loot chests? Whilst in appearance it may be similar there are some key differences that make the War Chest less ethically dubious than loot chests. The first its that they are upfront about what you are paying for. (See Diagram below) Secondly the the cost is reasonable for the amount that you get. Lastly, this functioned as a kind of community fundraising event for the Blizzcon prize pool meaning that a good proportion of the money is not only beneficial to you. But also to the Starcraft Two scene in general. List of skins purchasable with the war chest. Honestly this question, closely followed by, ‘why do I have to unlock what I just paid for’ lies at the top of the FAQ list for the War Chest. To answer it directly, the phases seem to be there to spread the time people have to play the game to get what they bought. Is the War chest worth it? In my opinion absolutely, for the price of 7.99 per race or cheaper if you get the bundle, it is surprisingly cheap. Skins in blizzards other game Heroes of the Storm can cost £15 pound or higher for a single skin. The skins are great. I have enjoyed unlocking them and playing all three of the races to see the skins. My first real excuse to do so since I capped the levelling system a while ago. This is something that I have honestly enjoyed about the War Chest. You can if you want to, unlock all the exp with a single race, or you can play multiple for the 100,000exp first win of the day bonus per race. This and the fact you earn exp at a good rate means that unlocking the skins is hardly a grind. My initial concern being that it would take ages to unlock a single tier. Not the case. I unlocked the first 5 tiers in two evenings play. The phases are somewhat of pain. Waiting to get at the juicy skins you know you will soon be able to unlock can be infuriating. However there are a couple of reasons I can see Blizzard deciding to do this. Holding their player base. Simple enough, if people have invested, they are going to want to get what they paid for. This means that at these intervals you are likely to bring back players that don’t play day in and day out. It keeps people interested in the game and the tournaments that are going on. With these dates/phases being stuck in peoples minds, it has the potential to grow tournament viewer ship. It stops them having to release new content, as the skins they have already shown will still be fresh for at least a couple of months after the final phase. Perhaps that is cynical of me. To be honest with you the phases didn’t really bother me over much, it was stated when I bought it that this would be the system so forgive me for not being shocked that it didn’t change when I bought into it. There is one final reason that I think this is worth the investment. The benefit to the Starcraft Two community. A portion of the proceeds were taken to add to the Blizzcon Prize pool, they wanted $200,000 they made that in under a week and considerably more besides. Not only does this mean that players will be paid more for attending events, increasing player drive to do well, it also means that other events are benefiting from the surplus. 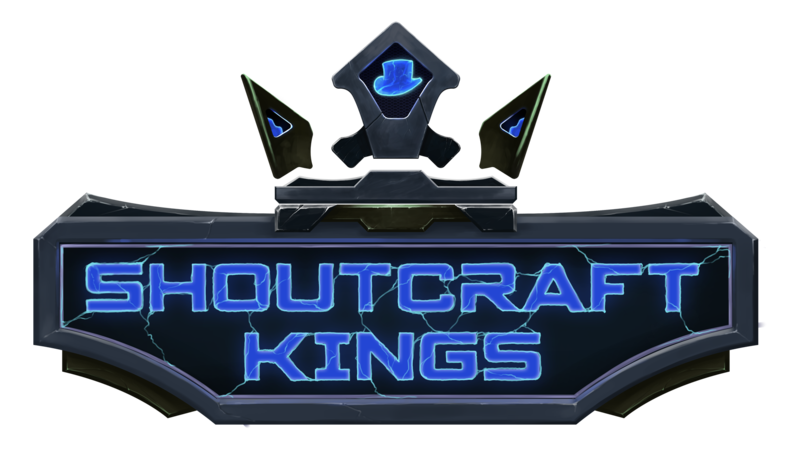 Hosted by Total Biscuit, Shoutcraft Kings is as many of you know a king of the hill, best of one format tournament that attracts the best players from all over the world. Even the normally secretive Korean overlords make appearances, names like Innovation, Zest, TY, Dark and Rogue spring to mind as rarely scene giants of Starcraft Two. August’s edition of Shoutcraft kings contained some of the closest and most entertaining games I have seen in months. As Total Biscuit pointed out there is a good chance that the increase to the Prize pool ($500 per map, $10,000 total) helped encourage players to try much harder than usual, a feat indeed for a tournament that is already known for producing fantastic games. This increase in the prize pool was entirely down to the surplus the War Chests gave Blizzard to spend on the Starcraft Two scene. In a scene that is seen as stagnated or even as dead this kind of investment in different style tournaments can only be a good thing. A good thing indeed I hear you say and so rejoice for ShoutCraft is getting new tournaments and funding. 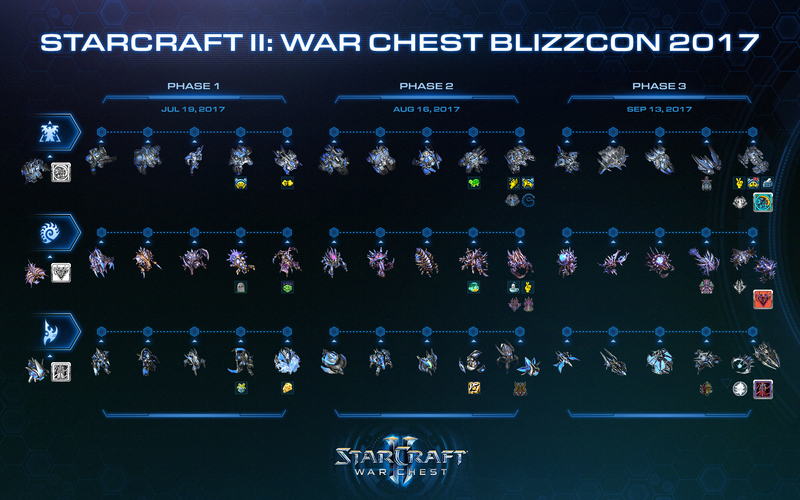 I strongly believe that the War Chest was worth the money I spent on it and with the increased spending on improving the Starcraft Two scene and the great skins I got to improve my game play experience I have no problem recommending it. 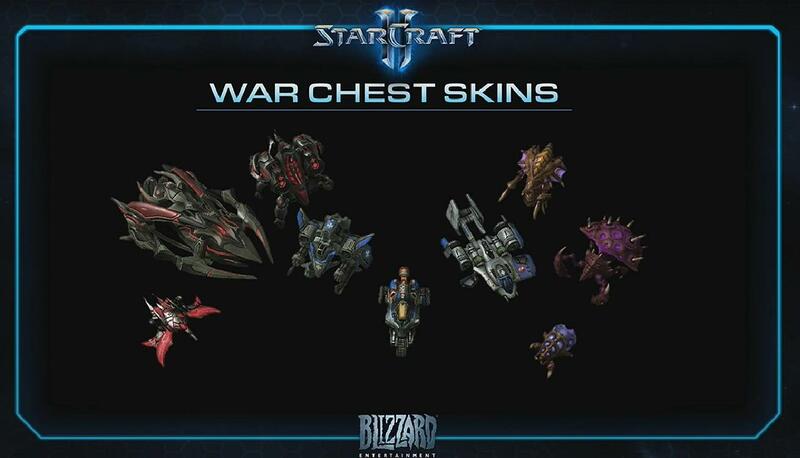 Did you purchase the War Chest? What did you think of it? Let me know in the comments.